How to Troubleshoot 3 Phase AC Motors. Three phase induction motors are one of the most popular electric motors commonly found in processing plants or any manufacturing concern. They are used in situations where large power is required. The squirrel cage brand is the most popular and they perform various tasks wherever they are applied. 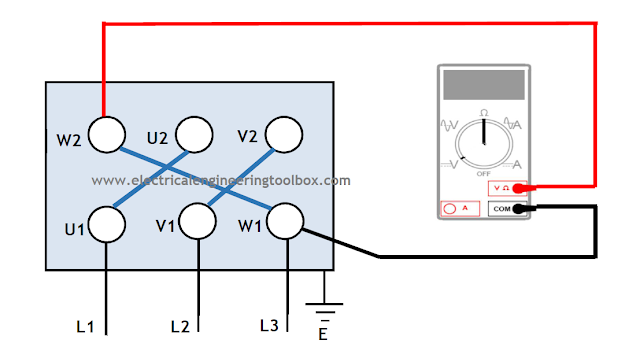 Open circuit in winding or control switch This is normally indicated by a humming sound when switch is closed. Check for loose wiring connections. Confirm that all control contacts are closing. Poor stator coil connections Remove end belts. Locate poor connections with test lamp. Low voltage Check that nameplate voltage is maintained. Check connection. Voltage too low at motor terminals because of line drop Use higher voltage on transformer terminals or reduce load. Check connections. Check conductors for proper size. Starting load too high Check load motor is supposed to carry at start. Open primary circuit Locate fault with testing device and repair. Low voltage during start up Check for high resistance. Adequate wire size. Applied voltage too low Improve voltage at terminals of transformer by tap changing. 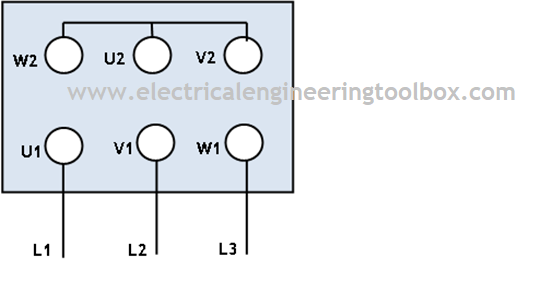 Wrong rotation Wrong sequence of phases Reverse connections at motor or at switchboard. Frame or bracket vents may be clogged with dirt and prevent proper ventilation of motor. Open vent holes and check for a continuous stream of air from the motor. Motor may have one phase open Check to make sure that all leads are well connected. Unbalanced terminal voltage Check for faulty leads, connections and transformers. Noisy Operation Airgap not uniform Check and correct bracket fits or bearing. Deterioration of grease or lubricant contaminated Remove old grease, wash bearings thoroughly in kerosene and replace with new grease. Overloaded bearing Check alignment, side and end thrust. This troubleshooting guide is by no means exhaustive but can provide guidance for the resolution of commonly encountered problems as far as poly-phase induction motors are concerned. The W2U2V2 terminal set is the star side of the 3 phase motor while the U1VIW1 is the Delta side of the motor connected to the supply voltage. The 3 phase motor is a rugged piece of equipment but as with everything man made, there comes a time when this beautiful piece of machinery fails either due to old age, misapplication, mal-operation or any other adverse cause. The most common failure mode of a 3 phase AC motor is burnt winding or shorted winding leading to the damage of the motor. 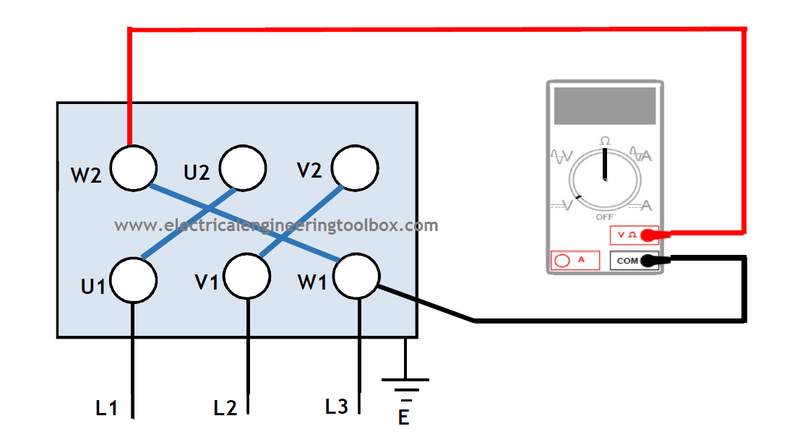 Often it is required to test the winding of the 3 phase windings with the aid of a multimeter or ohmmeter to determine whether the motor is still good or burnt or shorted. (E) should indicate open for a good motor. indicate continuity, then the motor is dead. A hazardous environment or location is some combustible materials that could easily ignite and create a fire hazard. Electric motors operated in such an environment need to be carefully specified and selected in order not to pose an explosion threat to an installation. Arcs, sparks and high temperatures on the surfaces of electric motors are common sources of ignition of hazardous substances. Therefore the right motors need to be specified and selected for use in this kind of environments otherwise the consequences of an explosion and eventual fire resulting from using the wrong kind of motor could range from minor injuries, production down time and destruction of valuable investment as well as death. Class of Materials in the Hazardous Environment. A Division 1 location is one where an explosive or ignitable material is present under normal operating condition. Division 1 locations include environment where explosive materials are routinely exposed to the environment during regular operation and scheduled maintenance. A Division 2 location is one where hazardous substances are stored or handled under abnormal conditions. Group Classification of Hazardous Environment. 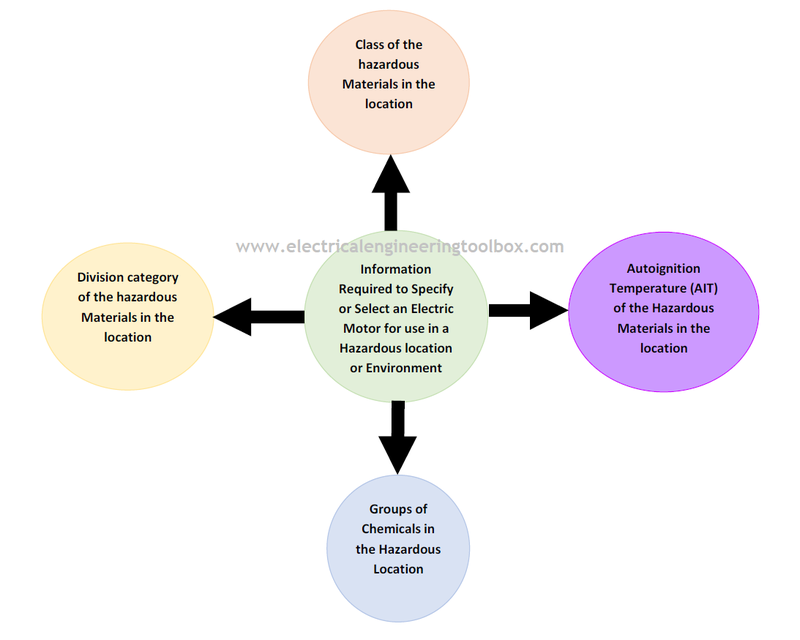 A key information required to accurately specify an electric motor in a hazardous environment is the autoignition temperature of the hazardous material, AIT for short. To be able to apply an electric motor successfully in a hazardous environment, these motors must possess certain critical characteristics that make them suitable to operate in these environment without creating problems. An explosion-proof motor must have flame paths for exhausting hazardous gases during an explosion and for cooling the hazardous material as they leave the motor to prevent further explosion. The more severe the explosion hazards, the stronger the enclosures of the motor and the longer the flame paths. For example, motors for use in group A environment which has acetylene gas require the highest enclosure strength and longest flame paths compared with those used in group D environment with only propane gas. Motors for use in hazardous environment are assigned a temperature code (T-Code), an identification number which describes the maximum temperature of surfaces subject to contact with hazardous materials. The temperature value defined by the T-code applies under all conditions of motor operation including burnt out, overload and locked rotor current. The T-code for a given motor must be less than the AIT of the hazardous gas or mixture in the environment where the motor operates. This is to ensure that the hazardous materials do not spontaneously ignite when it contacts the motor surfaces and enclosure during operation. An explosion-proof motor certified for use in a Class I, Division 1 location may also be operated in a Class I, Division 2 area provided the motor meets the group and T-Code requirements. TEFC (Totally Enclosed, Fan Cooled) motors and ODP (Open Drip -proof) motors can be used in Division 2 locations provided they do not have ignition sources such as arc-producing brushes or switching mechanisms. Three-phase induction motors with low surface temperatures and no sparking parts can be used in Division 2 locations. As class II locations contain ignitable dusts, electric motors operating in this kind of environment must be dust-ignition-proof. The enclosures of dust-ignition-proof motors are designed to exclude hazardous materials from accessing the internals of the motors unlike explosion-proof motors. The T-code of a dust-ignition-proof motor must correspond to a maximum surface temperature below the AIT of the hazardous dust materials. The above information makes it less tedious in selecting and specifying a motor for use in a hazardous environment.